Every year at Gen Con, we launch an exclusive figure that coincides with a beer released at the Indianapolis RAM Restaurant & Brewery. 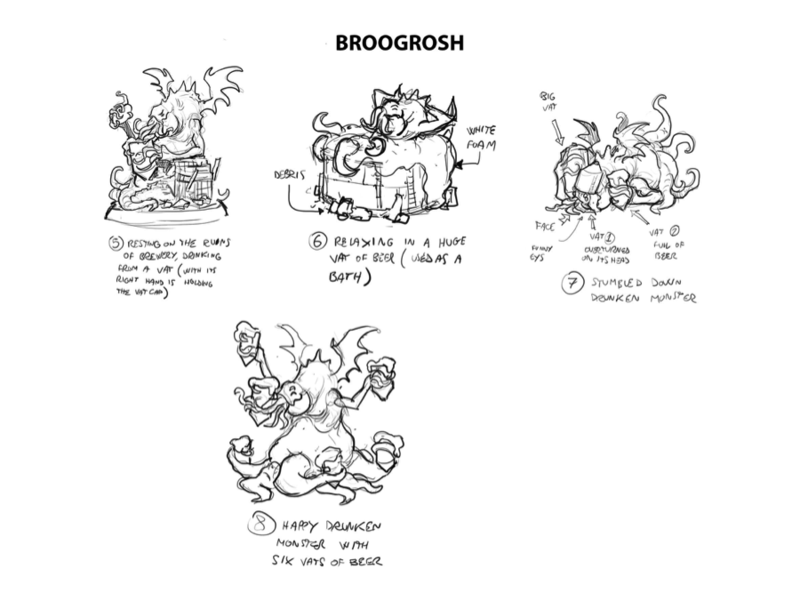 This year, I was given the name “Brewgrosh” for this summer’s exclusive and, then it was up to me to figure out what such a model would look like. Beer helmet made out of a grain silo and two fermenters that have fire hoses hooked up as straws. After some discussion, in which we considered what looked the coolest and would be the best for production purposes, 5B—with normal eyes—was the winner. 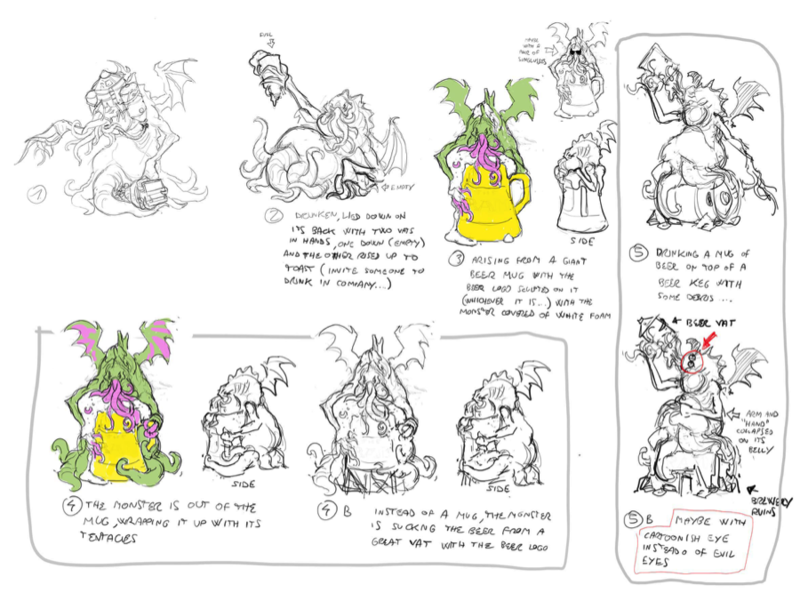 With this direction, Andrea proceeded to produce the final line art. 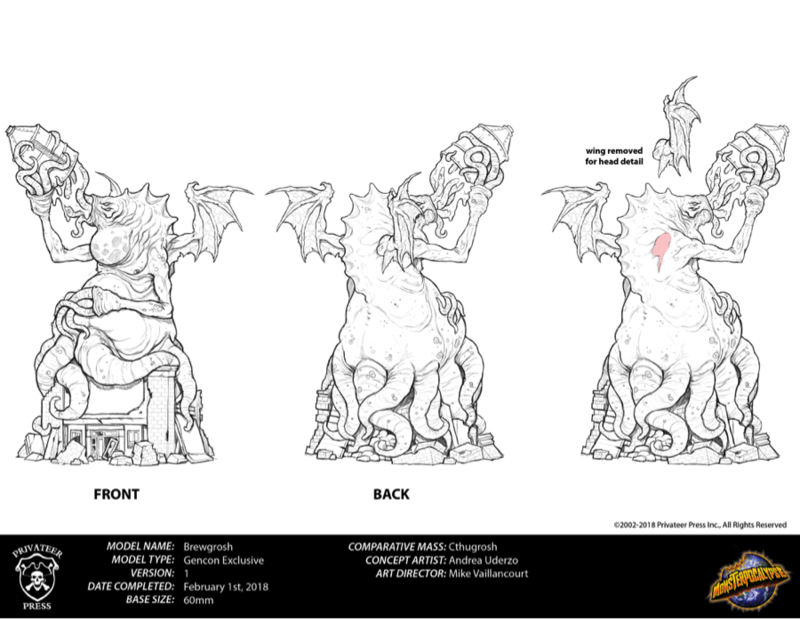 And yet again, Andrea produced a fantastic-looking concept that you will be able to purchase directly from us during Gen Con at booth #439 (or online during the show at store.privateerpress.com)! Cthugrosh was modeled by Doug Hamilton, and studio sculptor and engineer Marco Segovia is responsible for the convention-exclusive sculpt! Necrontyr Tombcity Walls available NOW! !